Towering crimson rock formations reflect off the cerulean surface of Lake Havasu, the sun shines more than 300 days a year and the folks are friendly as can be. 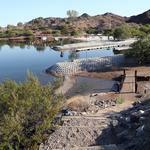 Lake Havasu RV trips offer more than just a pretty picture, though. 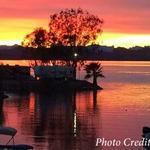 Park your home away from home at one of the many Lake Havasu, Arizona RV parks and then head out for an adventure or two. Zip across the lake on a boat, jet ski, kayak or any other watercraft you can imagine, head off-road for hiking and four-wheeling fun or take to the skies in a hot air balloon, seaplane or ultralight. 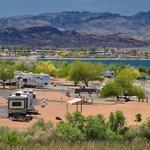 BeachComber Estates is a mobile home and RV park located on the beautiful island of Lake Havasu City, AZ. 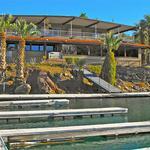 We feature a new clubhouse, pool and spa area; and outdoor games. 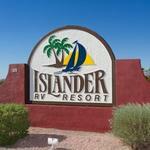 We provide full RV hookups and fully furnished mobile homes to rent. 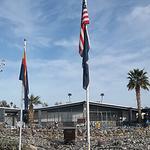 The newest RV Park within the city where a helpful, friendly staff awaits your stay. 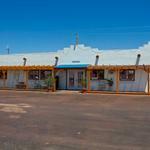 This resort is very clean, well maintained, and conveniently located close to the boat launch ramp and shopping. 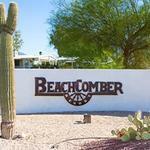 Located on the Island, Sam's Beachcomber Resort offers the best of Lake Havasu. Everything you need to enjoy the sunshine to the fullest is waiting for you at Sam's Beachcomber Resort including private access to the lake with private beaches, launch ramps and boat docks, as well as horseshoe pits, pool and spa, recreation center and a billiards room.